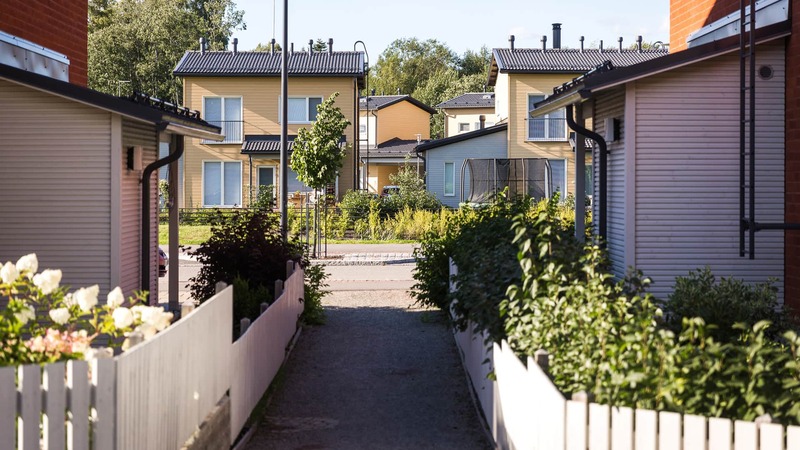 Hansavalkama in Espoo’s Kauklahti is a new small house residential area, which adapts beautifully to the old cultural scenery. The gabled small residential buildings are set closely on the sides of living streets and paths as well as parks. Hansavalkama in Espoo’s Kauklahti is a new small house residential area, which adapts beautifully to the old cultural scenery. The gabled small residential buildings are set closely on the sides of living streets and paths as well as parks. The houses are two-story terraced, semi-detached and detached houses with colors that vary in warm, broken tones. We are building comfortable and reasonably priced homes in Hansavalkama. All homes have their own yard and home sizes vary from one bedroom homes to three-bedroom family homes.